There are a few cars from the 60’s that are instantly recognizable in any form they take, and the Mini is definitely one of them. Originally produced from 1959-2000 by the English-based British Motor Corporation and its successors, it became an icon for British popular culture. 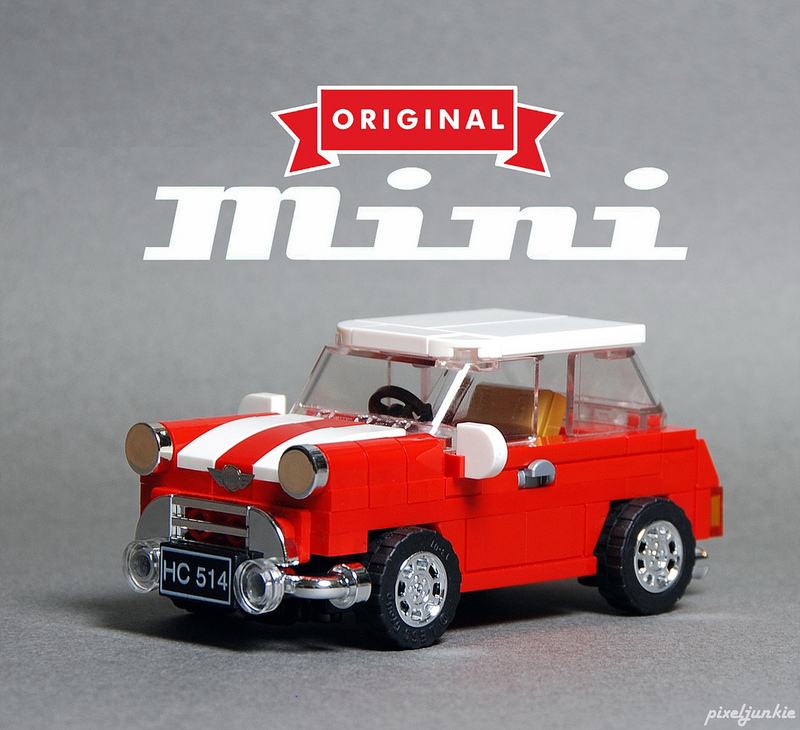 This LEGO model by Pixeljunkie captures the iconic vehicle quite nicely. The custom chrome elements and racing stripes give the tiny car so much character, and the use of a minifigure roller skate for the door handle is pure genius. I also love the gold ingot piece as the headrest on the driver seat. Oh, and in case you are wondering… it does fit a minifigure driver. Where did those chrome quarter circle tiles come from? 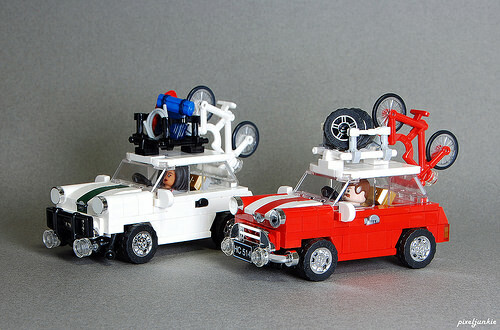 MrLego2006: All the chrome elements used in these are custom; that is, the LEGO parts were painted chrome (except perhaps the 1×2 grille tile).